To provide our communities with state-of-the-art communications services with hometown service and support. 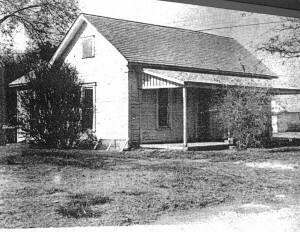 This house served as our first office back in 1915. Carnegie Telephone Company had its start near the founding of Carnegie in 1903, starting from a single, operator-driven switchboard. Through innovation and growth, our service area expanded from a few hundred operator-switched lines in downtown Carnegie to include some 250 square miles of service territory in southwest Oklahoma. Carnegie Telephone was one of the first companies in Oklahoma to implement 100% digital switching in the early 1990’s, far outpacing much larger companies in Oklahoma City and Tulsa. We were also the first company in western Oklahoma to offer high-speed DSL internet service to 100% of our customer base, including those subscribers more than 20 miles from our offices. We pride ourselves on the fact that 100% of our customers are capable of high speed DSL service, and almost 80% of our customers are connected to a state-of-the-art Fiber Optic network, with Fiber internet being available directly to their home. We are absolutely committed to net neutrality. We do not, never have, and never will throttle, block or slow down a customer’s internet connection to any service, for any reason, at any time. We strive every day to provide our customers with the absolute best connection to the internet that is possible. What you do with your connection is your business, NOT OURS. We value you, our customer. You are our most important asset, and we want to do everything possible to make your experience the best one possible. Built one of the first Fiber-to-The-Home deployments in western Oklahoma, to connect over 900 homes and businesses in the town of Carnegie and some surrounding areas. Through our subsidiary, TSC, Inc., we have brought true high-speed internet to the neighboring town of Fort Cobb, OK using DOCSIS 3.0 Cable-Modem technology. 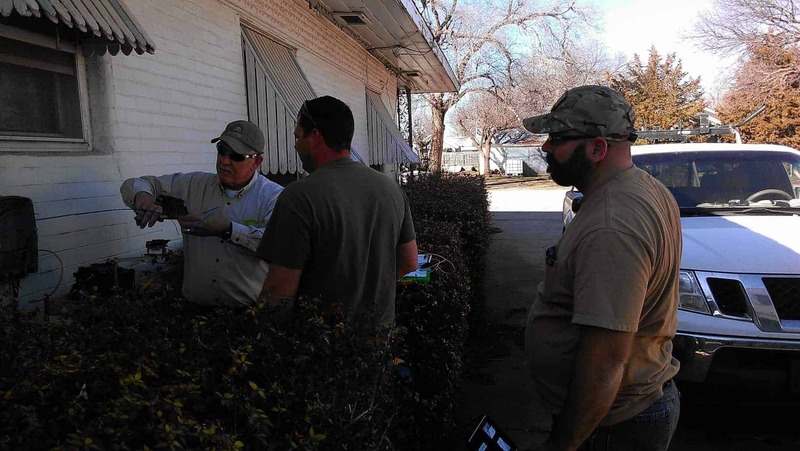 Deployed a cutting-edge fixed wireless service to bring high-speed internet to customers surrounding the Fort Cobb community, and areas north of Mountain View as well. Expansion into adjacent towns and communities who do not currently receive REAL broadband service to their homes and businesses. 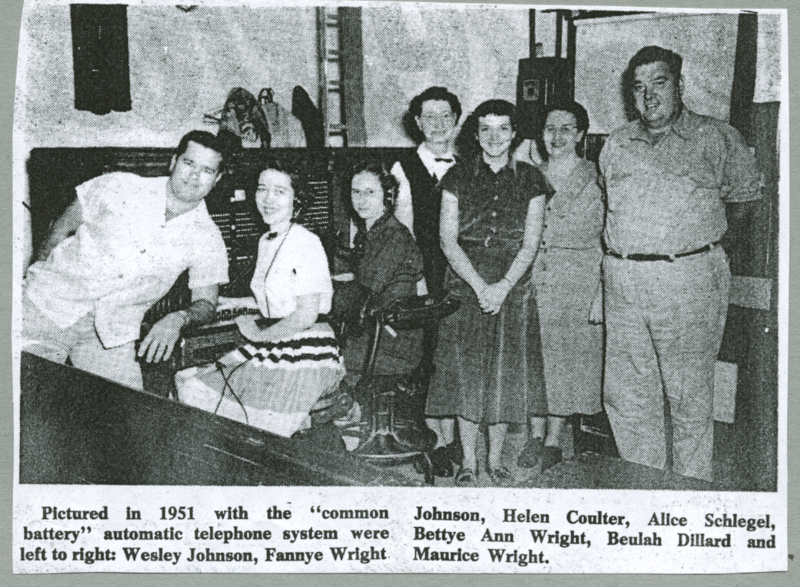 Since our humble beginnings, we have evolved into a technology-driven provider of many different services to the towns of Carnegie and Alfalfa, Oklahoma. Our company is family-owned and operated, and it has been for over 95 years. We value the the fact that our independent ownership has brought continuous innovation and top-notch customer service to all of our customers. Carnegie Telephone Company is actively involved in our communities. Our employees routinely volunteer their time to assist in community events ranging from the annual talent show, Tri-County Fair, World Championship Domino Tournament, Carnegie High School Biennial Alumni Reunion, Carnegie Round Up Club Rodeo, and much more. Our employees and owners are committed to our community and supporting our local organizations and schools. Employees (from left) Jimmy Ridgeway, Travis Ridgeway, and Matt Smith work at splicing a customer’s house into the new fiber network.